Built in the 1970s, Rochestown House was a cramped, cold and damp social housing block in Sallynoggin, Co Dublin that has now been completely transformed, thanks to a deep energy retrofit inspired by passive house principles. The general consensus is that it’s not appropriate to upgrade historic buildings to avant garde energy efficiency levels, creating a sense that conservation of the natural and built environments may be mutually exclusive concerns. 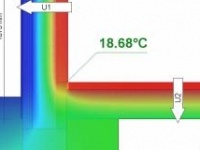 Not so, argue Arboreal Architecture’s Harry Paticas and passive house engineer Alan Clarke in an updated version of a paper presented at the 2014 International Passive House Conference, about a highly experimental upgrade to a London townhouse that may point to a sustainable solution. Tina Holt had experience advising homeowners on energy efficiency, so when she wanted a low energy home, buying a run-down 1950s dwelling and aiming to turn it passive was an obvious step. She tells her own story below. Most energy upgrades to historic homes in architectural conservation zones take a fairly gentle approach to insulation and airtightness — this one did the exact opposite. 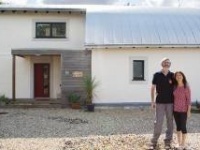 Hitting the Enerphit standard can be challenging for even the most seasoned passive house specialist, so what chances did Kate and Geoff Ball’s semi-d have when the architect and builder had no passive experience? With a well-planned approach and no end of enthusiasm, they passed with flying colours, as Kate Ball explains. The vast majority of energy upgrade projects aim for low hanging fruit measures, and risk locking buildings and their occupants into needlessly high energy usage, environmental impact and discomfort. This recent home upgrade on the outskirts of Cork City shows what truly deep retrofit looks like. If you’ve ever wondered what it’s like to live in a passive house, a B&B in Devon could be just the ticket. 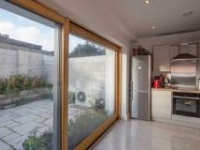 The winner of the private housing award at the 2013 UK Passivhaus Awards, this upgraded 1970s home proves that even existing buildings can be made passive. A community centre in a deprived area of north London has become one of the few buildings in the UK & Ireland to get passive house certification with a renovation. 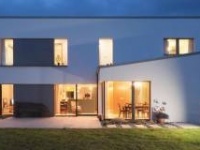 A house in south Dublin recently became the first Irish building to become EnerPHit certified. Architect Joseph Little describes the challenges of meeting the Passive House Institute’s standard for upgrading existing buildings.